Your safety is our concern - that's why every vehicle that comes in to one of our branches is offered a complimentary visual safety inspection. The visual safety inspection is carried out by one of our skilled technicians. It's all part of our service to you to ensure that your car is as safe and reliable as it can be and is completely FREE without any obligation. Naturally, you will receive a full written safety inspection form and our technicians are available to provide advice on technical matters if you wish. All our technicians our trained to City & Guilds standards and as an associate member of the Tyre Industry Council and a registered ISO 9002 company, nobody tries harder than National to ensure our customers safety. Please Note: Not all services are available at all centres. Did you know that almost 20% of cars have illegal tyres? Illegal tyres can cost you a £2,500 fine and 3 penalty points each - the legal limit is 1.6mm in a continuous band across the central ¾ of the tyre. The four postcard sized 'footprints' of your tyres are your only contact with the road, that's why we check all of your tread depths, including the spare. Incorrect tyre pressures can reduce your tyre life by up to 25% and increase your car's fuel consumption by as much as 5%. That's why you'll see us check and if necessary, adjust your tyre pressures. Did you know that flat or faulty batteries are the no.1 reason for an AA call out? To prevent the inconvenience and disruption that a flat battery can cause, you'll see us test your battery's charge and check its general condition including the terminals and mountings. A recent RAC survey found 25% of vehicles had one or more deficient shock absorbers, causing an increase in braking distances of over 11% or 22.5 feet at 70mph! That's why we give them a complete visual inspection, checking for leaks and general wear and tear. Did you know that when you start your engine especially in the cold, significant amounts of water and corrosive chemicals are produced? These corrosive elements gather in the silencer boxes and attack the metal from the inside, which can lead to holes developing. Your exhaust system will be given a general inspection including the fixing clamps and brackets. The most important safety component of a car is its braking system. Loss of braking performance takes place over a period of time. That's why we visually examine the pads, discs, hoses, pipes and callipers to ensure there are no obvious defects. "Went on internet, booked car in for free brakes test, found this very simple to do and arrange"
"National – the one to trust! Carried out a detailed check of my car, from brakes to visual safety inspection and fitted new tyres. 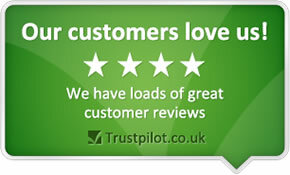 Picked up on a couple of issues that needed looked at and provided full quote with no obligation."